Sentiment extreme in US yields – short squeeze ahead driving Equities lower and Gold higher? The first week of trading in the month of September, historically the worst performing month for the DAX and DAX30 CFD, which pushed the German equity index below 12,000 points, the first time since April 2018. With the break below the June, July, and August lows of around 12,100 points, a clear bearish signal was provided, making a test of the current yearly lows of around 11,700 points in the upcoming days/weeks very likely. In general, the DAX still seems weak compared to its US counterparts, with the SP500 CFD and the US30 CFD still trading in reach of their 'All Time Highs'. That being said, the situation could dramatically worsen if the US equity markets finally see a pullback, which would probably be initiated from a corrective move in one of the FAANG shares: Facebook, Amazon, Apple, Netflix or Google (Alphabet). Especially after Amazon hit a new 'All Time High' last week, reaching one trillion in market capitalization. The overall picture seems a little extended and overheated. In combination with a thin market environment, such a pullback in US equities could push the DAX dynamically towards 11,700 points.The overall picture brightens up a little, if the DAX bulls can re-conquer the region around 12.600 points. Check out Admiral Markets' most competitive conditions on the DAX30 CFD and Dow Jones CFDs, and start trading on the DAX30 CFD with a low 0.8 point spread offering during the main Xetra trading hours! The US Dollar Index Future Index started to stabilize after its deep corrective move back below 95.00 points, pushing it back above that level into the weekly close.The released data sets over the last days of trading (especially the NFPs on Friday) came in solid to strong, resulting in rising speculation that the FED will hike a fourth time in December, after a hike on the 26 September looking like a done deal already. In the upcoming days, performance in the USD will depend on the performance in the Euro, which has 58% in the basket of currencies calculated against the USD in the USD Index Future. The Euro faces a rate decision on Thursday, and even though no rate hike is expected, it will be interesting to see how the ECB evaluates the BREXIT negotiations, the still brewing trade conflict with the US, and the somehow unstable political situation in Italy. If the ECB or Mario Draghi show any signs of scepticism at the press conference, speculations could heat up that a ECB rate hike could be pushed at the end of 2019, if there will be any rate hike at all. With the weight of Euro in the USD Index future basket in mind, a resulting push lower in the Euro could mean the USD index taking on serious momentum, targeting 96.50/97.00 points in the upcoming day/weeks. 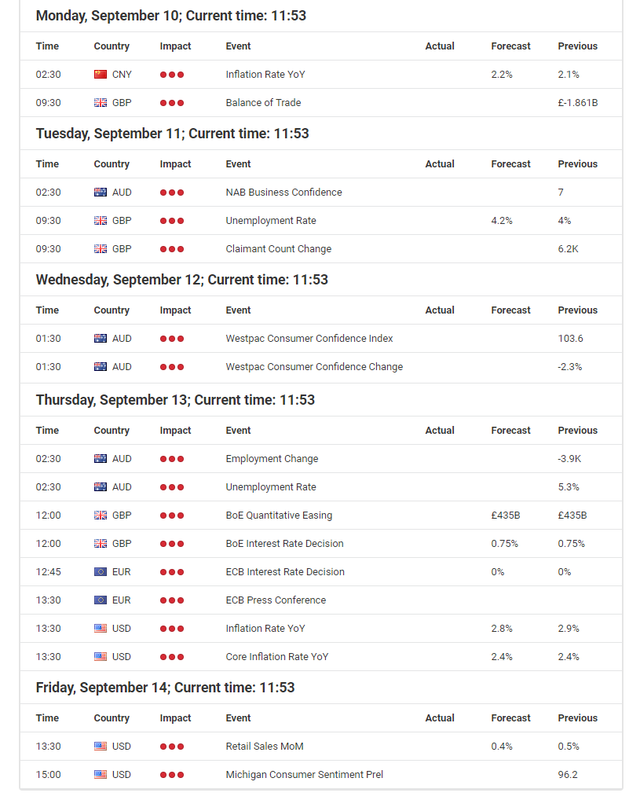 If you'd like to keep track of these economic announcements as they happen, be sure to check out our Forex Calendar. Additionally, don't forget to register for the weekly webinar "Admiral Markets' Weekly Market Outlook" with Jens Klatt, every Friday at 12pm London time! It's your opportunity to follow Jens as he explores the weekly market outlook in detail, so don't miss out! If such a positive outlook materializes, the Euro could see a significant push on the upside, with the bulls trying to break back above 1.1800/1850 against the US Dollar. But what's more likely is a neutral stance from the ECB. Such a neutral stance does not necessarily go hand in hand with a dynamic push down towards 1.1300 and lower. But it could at least increase chances of push back below 1.1500, because a first rate hike of the ECB should be expected into the end of 2019, while the FED, especially after the NFPs on Friday, is most likely not only good for a fourth rate hike in 2018 for December, but also for a minimum of 3 hikes in 2019. That being said, the yield differential between US and EU yields should keep on widening and resulting in further EUR/USD weakness to come, not only in the next week, but also in the next few months. Besides the ECB rate decision on Thursday, the BoE is also about to decide on their rates on the same day. After the hike in August, the MPC is not expected to take action this time. But the tide has turned compared to last month: in August, based on an expected dovish hike, GBP could be expected to push below 1.3000. Instead of a dovish hike, the BoE delivered a quite hawkish stance, nevertheless Pound Sterling pushed below 1.3000, to its lowest levels since June 2017. 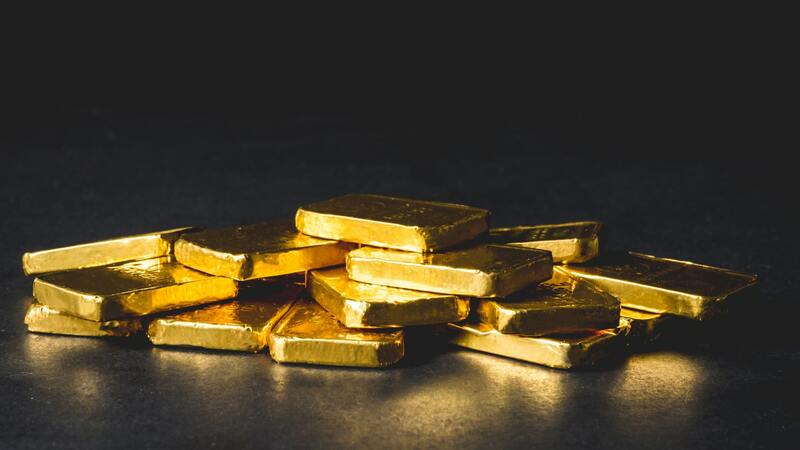 To make long things short: if the market is hit by a risk off event, and market participants begin to rush out of the doors, dumping their equity exposure, and seeking safe havens like 10-year treasury notes, a massive short squeeze could hit the US yield market, potentially resulting in a sharp rise in Gold. Even though this does not necessarily need to happen in the upcoming week of trading, it is still worth keeping it in mind.